When my son grabbed “What To Expect When You’re Expecting” off of the bookshelf the other day, I thought, is he trying to tell me something? I mean, he is nearly one year old, sleeping in his crib (albeit not quite through the night) and becoming more independent everyday. As for myself, I’m getting more sleep, I’ve gotten some semblance of my life back and no longer feel like the zombie I was months ago. On top of that, I have more time to connect with my husband, which I know he appreciates. Why then, if things are so good, would I even consider shaking things up by adding another child to the mix? Call it a false sense of confidence, but I feel like I (almost) have this baby thing down and can handle another one. And whereas six months ago, I wanted nothing to do with newborns, I now look at them with that aching yearning I felt when I first wanted to become pregnant. Though I may be ready, nature says otherwise. As an actively-nursing mother, my body has yet to return to baby-making mode. And maybe that’s not such a bad thing if it means a few more restful nights. 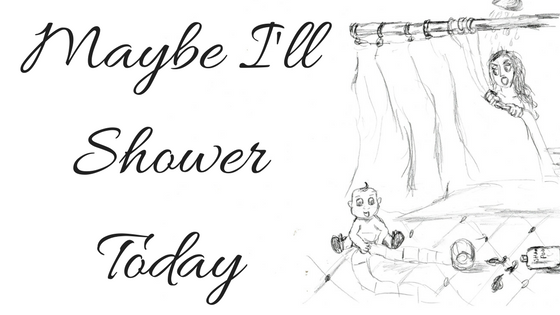 This entry was posted in Think and tagged baby, motherhood, parenting, pregnancy on October 15, 2013 by Maybe I'll Shower Today.